Beloved Hanno was a symbol of one pope’s dream — an interesting story, even if you don’t agree with the practices of the time. 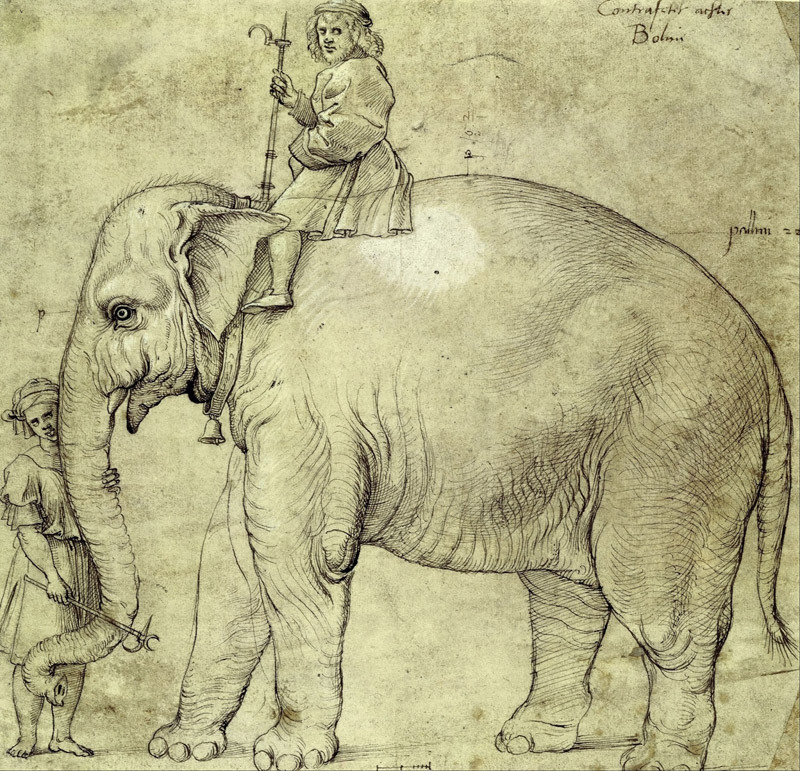 As far as elephants go, Hanno wasn’t a giant: only about 4 feet tall at his shoulder, he still seemed a huge and unusual animal to the Italian people of the early 1500s. 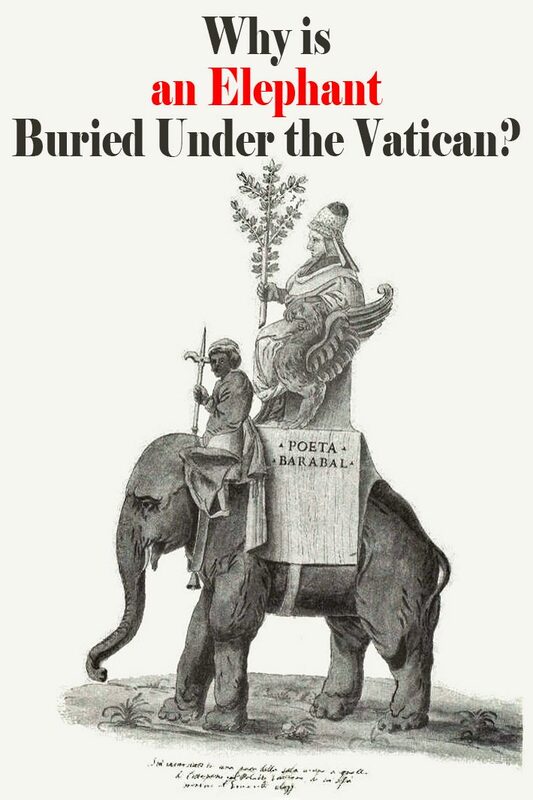 But what was an elephant doing in Rome at that time? Hanno was a gift to Pope Leo X from King Manuel I of Portugal. Pope Leo had ascended to the papacy at the young age of 37, and upon receiving the title, he made it his mission to bring artists and a cultural spirit to the Vatican, and make it a center of Western culture. The gift of Hanno from King Manuel was both a demonstration of how far-reaching Portuguese trading fleets reached, and the fulfillment of an expected gift — new popes would typically receive presents from Christian rulers. 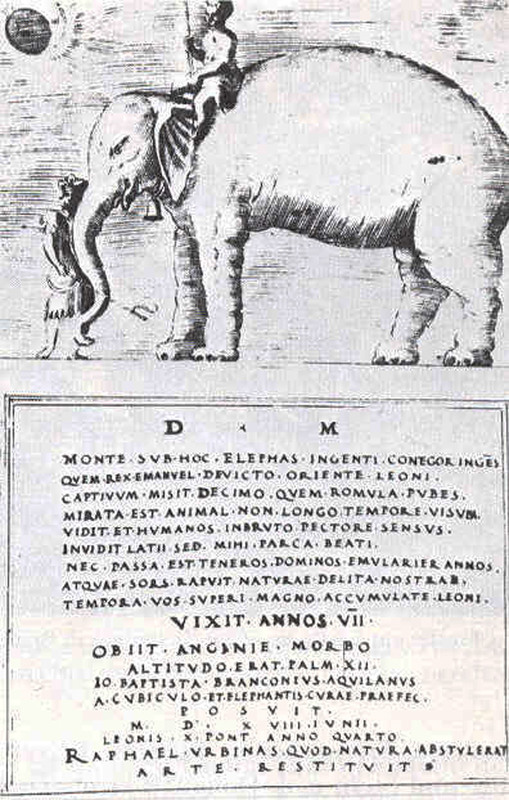 Bringing exotic and foreign animals to popes was something the leaders of Portugal had been known for, so it would have been expected that some amazing creature would arrive, but King Manuel wanted to outdo previous rulers’ presents of troops of monkeys, parrots, mandrills and even leopards. 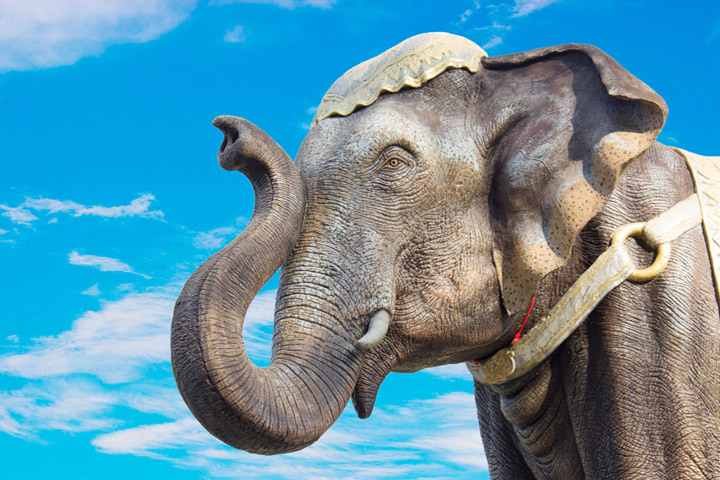 Pope Leo didn’t keep Hanno to himself: He built a special enclosure for the white elephant in the the Courtile de Belvedere, and on weekends, the citizenry was allowed to visit him. Hanno also went out and about into the city, parading through town, though on more than one occasion, he got spooked and people ended up trampled. Still, he was a beloved animal: Writers and other artists celebrated him in various media and Pope Leo even commissioned a giant mural of him at the Vatican’s entrance, which was painted by none other than the great master , Raphael (it was later destroyed). But you can still find traces of him around the Vatican, including “A wood mosaic on the door between the Stanza della Segnatura and Stanza del Incendio del Borgo; On the Adoration of the Magi tapestry, part of the “New School” series in the Stanza degli Arrazzi; On 2 frescoes in Raphael’s Loggie in the Apostolic Palace,” according to Eyes of Rome . Pope Leo X wasn’t as successful in the political realm as he had hoped, though he is remembered as a strong supporter of writers and artists, and a lover of learning, which he had wanted to do. But despite his personal failures in politics, Pope Leo loved Hanno enough that he buried him beneath a courtyard, where his bones were found in 1962, and it was determined they were Hanno’s in the ’80s. In 1997, Berdini wrote his book on the elephant, and he continues to live on — thanks to the the Internet.